This durable all steel walker provides incredible support and stability for individuals who need extra assistance while walking. 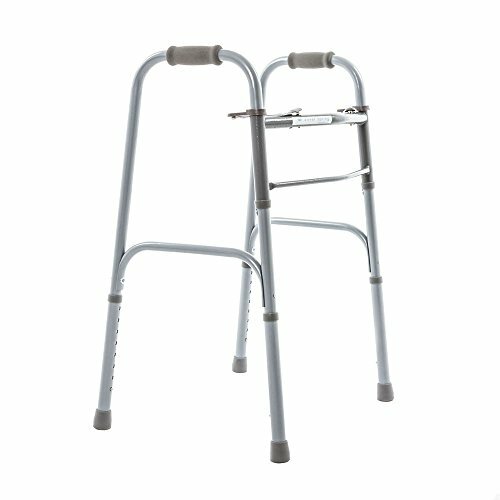 This walker accommodates users of all heights, and is easily adjustable by 1" increments from 32" - 39" tall. When not in use, this walker folds in half for easy, compact storage. The durable double steel H-Frame can support users up to 400-lbs. If you have any questions about this product by Silver Spring, contact us by completing and submitting the form below. If you are looking for a specif part number, please include it with your message.